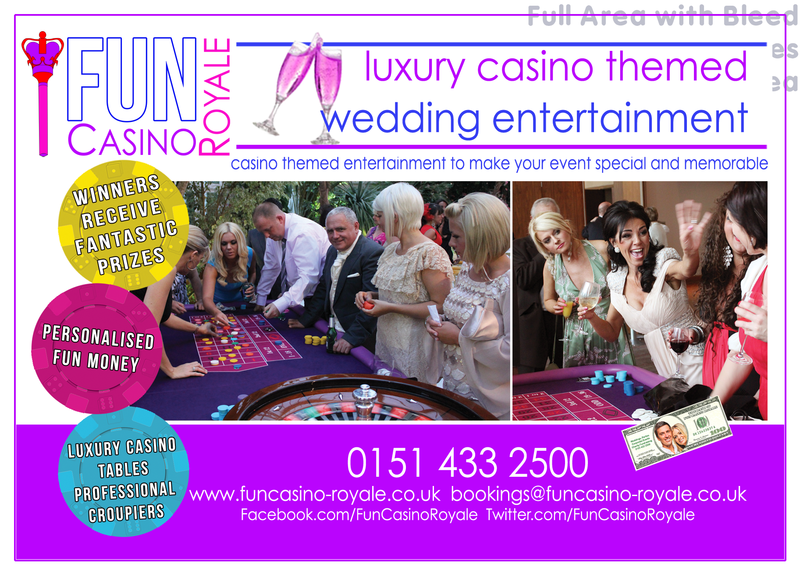 Premier Luxury Casino Entertainment provider in the North West of England serving Merseyside and beyond, Fun Casino Royale brings fun and excitement to your casino night.Your guests will be entertained by our friendly professional croupiers to the ultimate fun casino experience. Using luxury full sized casino tables your guests will be given fun money to play from a choice of games on offer and win prizes. Fun Casino is a fantastic addition to any event.